Meet Barbara Hunt, survivor & fighter! 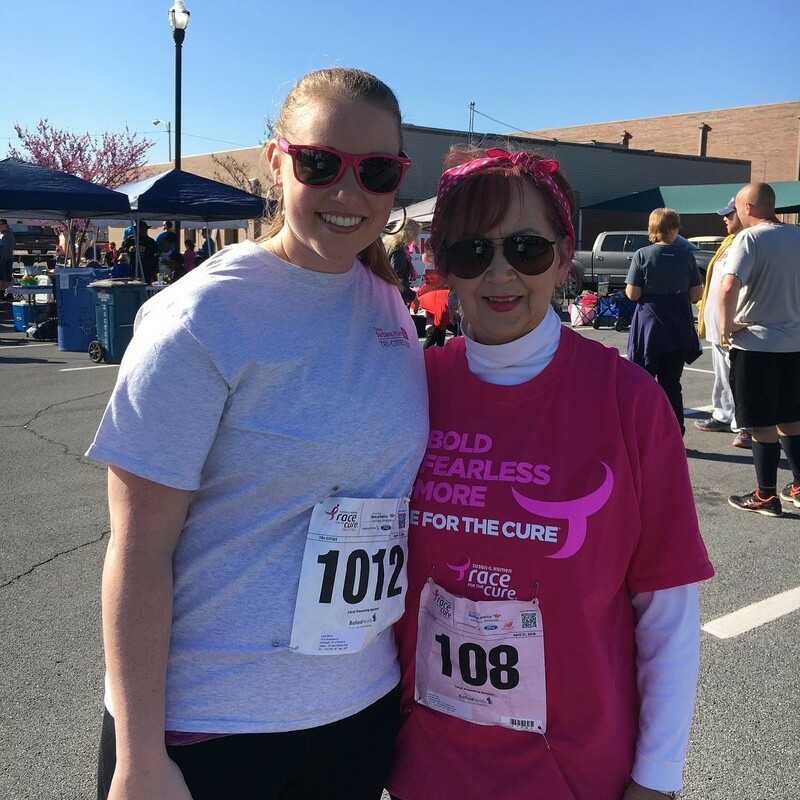 Survivor Barbara Hunt with neice Lydia Hunt Moore at our 2018 Tri-Cities Race for the Cure. Lydia was named after Barabara’s Mom who passed away from breast cancer. Cancer was the furthest thing on my mind when I underwent sinus surgery in June 2017. Having some complications following this surgery, my primary care doctor ordered a chest x-ray which showed a mass on my left lung. This followed with numerous scans then ultimately a PET scan which showed a small mass on my right breast as well as the left lung. I had a diagnostic mammogram, and a biopsy confirmed I had breast cancer. Later that week, I had a biopsy on my left lung and it was confirmed to be non-small cell lung cancer. Needless to say, I was devastated. Then treatments began involving a large team of doctors working together on my unique case involving two unrelated cancers. I had an upper lobectomy on my left lung in November 2017 and in December 2017 I had a right breast lumpectomy. 2018 has not been an easy year. In January I began chemo for the lung cancer. Following that I completed 28 radiation treatments for both the lung and breast (separate cancers). Then in July 2018 I began what I’m hoping is my final round of chemo for the breast cancer and this was completed on September 20, 2018. My fight with cancer has been a long and difficult journey. I have been truly blessed to have the continued support and encouragement of my family, church, friends, co-workers, and a team of outstanding doctors. I think it is extremely important to stay positive as much as possible and keep faith in God as I continue this journey as a cancer survivor.